12,000 HR Completed 07/14/1983 Due in 1300 Hrs. BOW 13426 lbs.Empty Wt. 13287 lbs. Max Zero Fuel 15000 lbs. Max Take Off Wt. 21500 lbs. Prices are in U.S. Dollars, FOB St. Paul, Minnesota, U.S.A., and are subject to change without notice. Prices do not include taxes, duties or tariffs. The accuracy of the above specifications are only offered as to the best of our knowledge at the time this document was printed. Aircraft is subject to prior sale and/or removal from the market. Aircraft to be sold "as is, where is." All specifications and representations of the aircraft are subject to verification by the buyer before purchase. 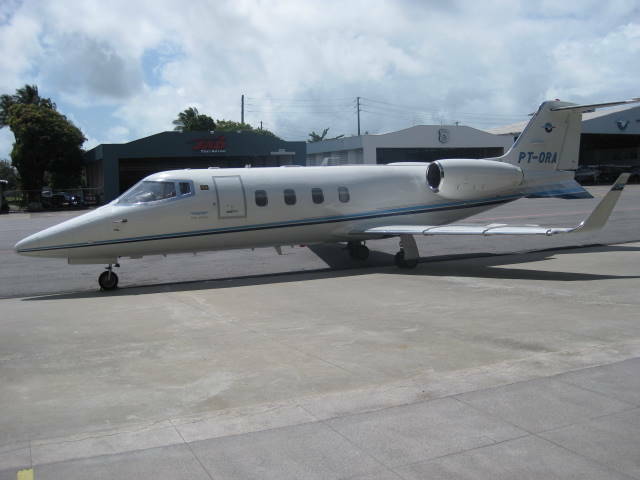 STC ST09568SC -"Conversion of Learjet Air Conditioning System Using R12 to Using R134a Refrigerant"
STC ST02005CH-D -"Installation of Honeywell N1 Digital Electronic Engine Control (DEEC) with J2 Extension Harness"
STC ST00507DE-D -)"Installation of an ARTEX 406 MHz Emergency Locator Transmitter (ELT) With Navigation Interface"
Both engines with TFE731-76-3067 "Install Digital Electronic Engine Control (N1 DEEC)". You will need Adobe Reader to view the documents. You can download it here if youdon't have it.